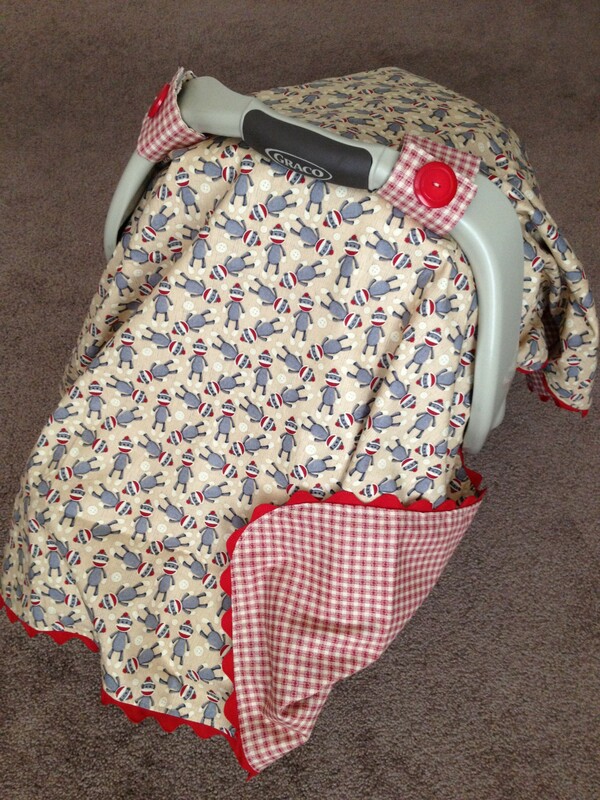 This homemade carseat canopy cover is one of a kind. 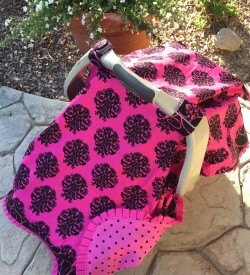 Such a cute accessory for a carseat and a great way to keep babies covered and protected from germs and weather while providing privacy from strangers. It also keeps it nice and dark for nap time. 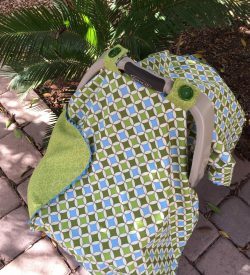 The canopy attaches to your carrier with velcro straps which keeps it from falling off and still allows you access to the handle for easy carrying. 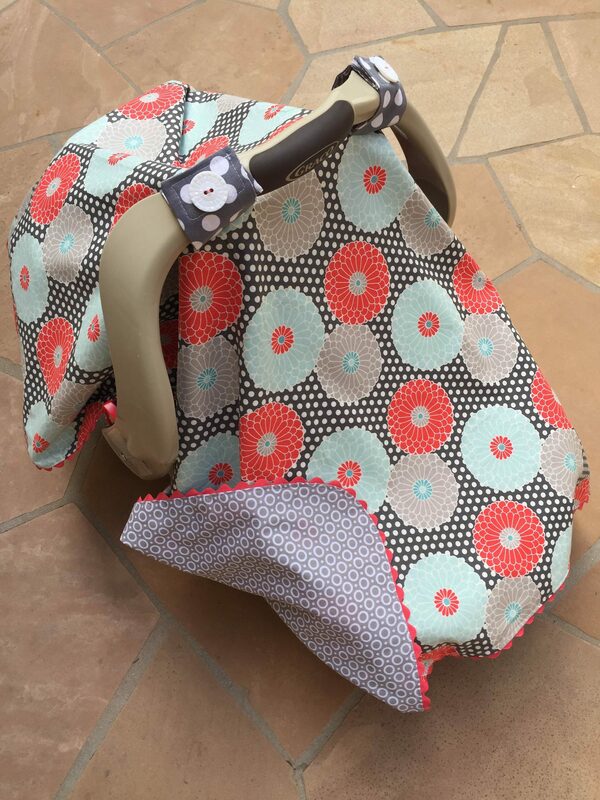 This canopy cover has a a pretty coordinating trim around the entire cover. Buttons on the velcro tabs are decorative and sewn to the tabs. 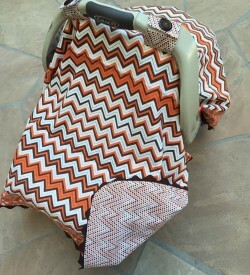 Buttons may vary due to availability but will always be coordinating with the fabric.